Product prices and availability are accurate as of 2019-04-13 15:51:06 EDT and are subject to change. Any price and availability information displayed on http://www.amazon.com/ at the time of purchase will apply to the purchase of this product. 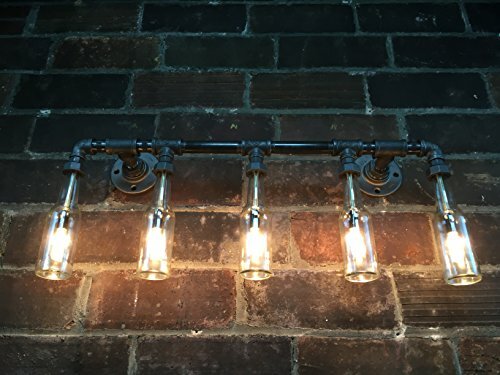 The Brewers Vanity Light is an industrial piece perfect for lighting up your bar or man cave bathroom. The lamp is versatile and works as a decorative sconce or sitting above your vanity. 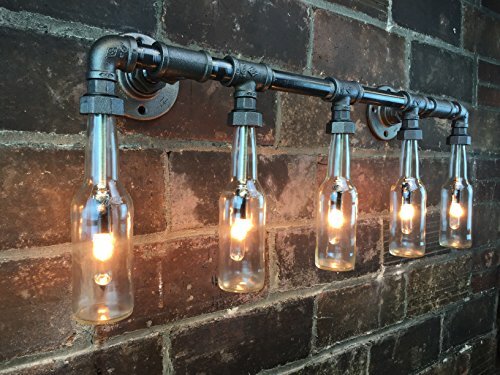 The sconce is constructed from authentic black iron piping. The bottles are firmly secured in the black iron coupling without causing damage. 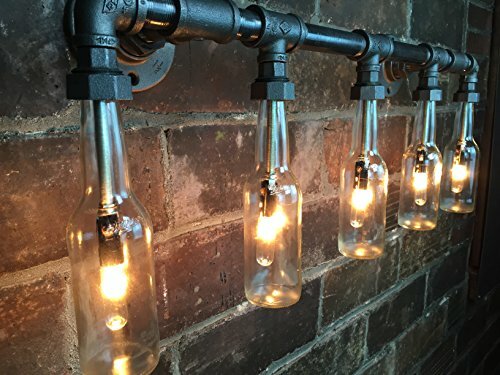 A 25 watt bulb is used to illuminate the beer bottles producing a warm ambient light. The components used in this fixture are UL approved. The lamp is typically direct wired through the flange on the right side but we can customize how the wiring exits the fixture...including adding a cloth cord with plug. Dimensions: H: 12" W: 32" D: 5.5"